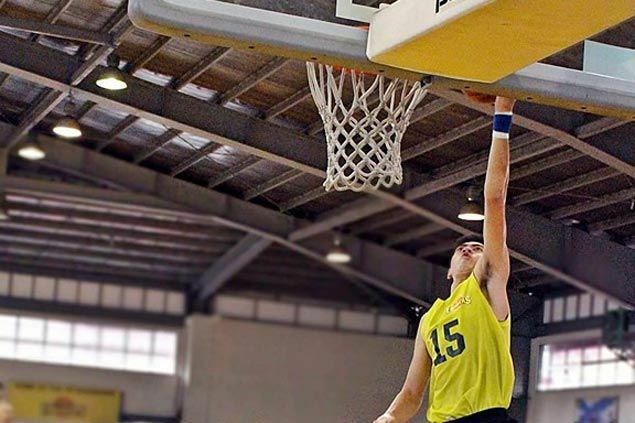 THERE will be no title match as the Philippine Collegiate Champions League (PCCL) has decided Thursday’s winners of the 2015 National Collegiate Championship semifinal games will be declared as co-champions. Heavy rain brought by typhoon Nona forced the postponement of the semifinal matches to Thursday, the original date of the finals, and league officials decided not to have an extra day for the tournament. Instead, the winners of the semifinal games between Letran and San Beda at 2 p.m., and University of San Carlos and Far Eastern University at 4 p.m. will share top honors. “The PCCL board has decided to shorten the NCC competitions in consideration of safety and convenience of students and players. Therefore, the winners of today’s games will be declared as co-champions of 2015 National Collegiate Championship and shall share the prize awards due them,” said the league in a statement. Letran will take on San Beda in a rematch of the NCAA Season 91 finals won by the Knights in three tough games. USC, the Cesafi champion, meanwhile, looks to take the NCC title against FEU, which took the UAAP crown in three games against University of Santo Tomas.